Bio: I was born in Toronto and grew up in Woodbridge when it was still a village on the north edge of the city. My father worked in the cotton mills across the street, my mother in an office. He had left school in Grade 8, she in Grade 10. For most of his life, my father served in local politics. Shortly before his death at 66, he ran for mayor of Vaughan. When I was thirteen, my brother Paul was born. That same year my mother’s desire to see her children well educated had me starting Grade 9 at a day school for boys in the city, the University of Toronto Schools, where I was miserable for five years but had good teachers. My primary school teachers had taught me grammar, at UTS I was introduced to modern literature by an Irishman named R.G. Harrison. I still remember the excerpt we read from Portrait of the Artist as a Young Man. In 1968 I completed a B.A. in Honours English at the University of Toronto. The same year, the poet and editor Dennis Lee included some poems of mine in a collection called T.O. Now: The Young Toronto Poets, one of the first books published by the House of Anansi. After a year in Europe (where, in a cave in Crete, at age 20, I began my first unpublishable novel, “Monster Weather,” about a climate change that turns Canada tropical), I returned to Toronto to complete an M.A. in English. From 1970 to 1975, I lived in England, first in Ladbroke Grove, London, then Oxted, Surrey, while writing a PhD at the University of London on the philosopher George Berkeley and his influence on English poetry before the Romantics. In 1975 I accepted a job as Assistant Professor in eighteenth-century literature at the University of Alberta, in Edmonton, Alberta. Soon after arriving, I met the novelist and short story writer Matt Cohen, the university’s first writer in residence, and we became friends. In the British Library, I had read and liked his first story collection, Columbus and the Fat Lady. At the end of the school year, we drove back to Ontario in his truck. 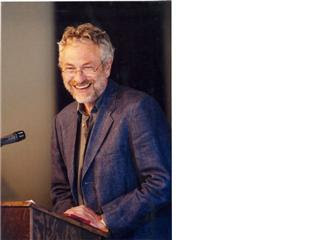 Matt Cohen was a mentor, model, and editor in my early days as a writer and a good friend until his early death in 1999. Before the five-day conversation we had on that drive back to Ontario, it had never occurred to me to write short stories. I began my first as soon as I got out of the truck. Matt Cohen edited my first book, Famous Players (1982), a collection of stories published in Toronto by Coach House Press. Over the next ten years I published about fifty stories while trying to write a publishable novel. During that time, I bought a cluster of isolated cabins on a lake in Algonquin Park in Ontario, where I still spend summers. In 1983, I married Rosa Spricer, a psychologist in private practice. Our son David was born in 1984. In 1992 my second story collection, White Buick, and my first novel, Spin Dry, were published. When sorting through thirty or so stories written over eighteen years, in order to create White Buick for Ron Smith at Oolichan Books, I set aside the more comic for another book. This became The Roaring Girl (1995), edited by Patrick Crean at Somerville House. My other books had won various provincial awards, but The Roaring Girl took what was then the most visible Canadian fiction prize, the Governor General’s Award for Fiction. The Roaring Girl sold well and was published in the U.K., Germany, and China. In 1998, working with Phyllis Bruce at HarperCollins Canada, I published my second novel, The Healer, which was also published in the U.K. and U.S. The Healer was shortlisted for the Giller Prize and won another national award, the Rogers Writers’ Trust Fiction Prize. In 1999 I became Director of Writing Programs at the Banff Centre in Banff, Alberta. In 2004 I published my third novel, in which I was able to combine my fiction and eighteenth-century interests. Bedlam was longlisted for the IMPAC Dublin Literary Award and shortlisted for the Commonwealth Prize for Best Book in the Caribbean and Canada region as well as for various provincial awards, including the Grant MacEwan Award. It has also been published in the U.S., by St. Martin’s and Picador. In 2005 I became Professor Emeritus at the University of Alberta. In the spring of 2007 I received the Lieutenant Governor of Alberta’s Excellence in the Arts Award. In addition to my work at the Banff Centre, I now devote myself mainly to writing. 1 - How did your first book change your life? It taught me that there would likely continue to be a distance between my estimation of my work and other people’s estimation of it but that the situation was not necessarily hopeless. 2 - How long have you lived in Edmonton, and how does geography, if at all, impact on your writing? Does race or gender make any impact on your work? I have lived in Edmonton since August 1975. About a third of that time I have spent, in descending order of amount of time, in rural Ontario, Montreal, Paris, and London. The three sorts of geography that affect my work most are tract development and strip mall suburbia, the open prairies, and the Canadian Shield. Race and gender questions have been coming up in the novel I’m working on now. My interest has always been in marginalized people but usually for class or age or psychological reasons, not race or gender. 3 - Where does a piece of fiction usually begin for you? Are you an author of short pieces that end up combining into a larger project, or are you working on a "book" from the very beginning? It can be anything: a mood, the rhythm of a phrase, an image, a scene, a story, a character. With a novel I spend from a couple of years to ten or more gathering pieces of everything—words, phrases, images, aphorism, titles, characters, story ideas, thematic ideas—until I’m ready to start, at the beginning. But with this latest novel, I’ve written most of it out of sequence. 4 - Are public readings part of or counter to your creative process? Part of. Giving a voice to what you’ve written in a public space while watching the faces of your audience is a chance to hear very clearly what’s wrong with it—sentiment, rhythm, tone—in a way that isn’t available in private. 5 - Do you have any theoretical concerns behind your writing? What kindsof questions are you trying to answer with your work? What do you even think the current questions are? Two mainly, with the novel. First, maintaining a complexity-in-simplicity of texture in the prose that pleases me aesthetically but doesn’t tire my reader. Two, finding non-banal ways to exert the pull of the narrative from start to finish. Morally, my central concern is the gulf between what our brains know and what the structure of our selves normally limits us to knowing. The current public questions are mainly—as a reflection, I would say, of the atmosphere of helplessness and despair that has gripped the West—political, as if short-term, patchwork answers are the only ones possible, yet nobody really even believes this. I don’t know how long we can continue to pretend that knowing ourselves is not the first principle of everything. It’s the only way to begin to understand that human society needs to be built on obligations not rights. Essential, not difficult. By the time an editor sees my work I know what I’m trying to do well enough so that I know which suggestions to accept and which to reject. Having a good editor is a joyous experience, because it’s having a fresh mind as good as, or better than, your own, inside your work doing what it can to improve it. A writer suffers a disability who can’t hear what is true in what an editor is saying. A big part of learning how to write is learning how to distinguish good advice about it from bad. 7 - After having published more than a couple of titles over the years, do you find the process of book-making harder or easier? Harder. With age and fatigue, inspiration can come and go. Also, you don’t want to be doing the same thing again, so you’re always starting from what feels like scratch, at the same time as you’re setting your aim higher. This is necessary, but it doesn’t get easier. 8 - When was the last time you ate a pear? A couple of weeks ago. There are some in the bowl right now. A good pear is really something, but the skin bruises easily, they rot suddenly and fast, and they’re often grainy. I recommend slicing them at right angles to the core, lifting the slices free of it and of the fibres that connect the core to the stem. That way, working down the fruit from the stem, you lift off slices with a hole at the centre of each in the star shape of the core. Our back yard when I was growing up was filled with vines and fruit trees: apples, cherries, grapes, pears. I still associate pears with wasps. A friend says the forbidden fruit was really a pear: sexier and more dangerous. 9 - What is the best piece of advice you've heard (not necessarily givento you directly)? As long as it’s narrative I find the move easy enough. Writing nonfiction narrative can teach, or remind, a writer a lot about what is needed to create realism in fiction. A true story will often be a wealth of strange detail that puts most fiction, with its conventional imaginings, to shame. I get up at six. After breakfast and a look at the paper, I start writing shortly after seven. I write for four hours, longhand, starting with correcting the clean copy I made the day before. Later in the afternoon, about four or so, I make the clean copy for the next day. That takes an hour or more. I do this weekdays. On Saturday I finish the clean copy by noon. Sunday is my day off. Working on a novel, I’m usually working on 20 to 40 pages each day, adding new material at a page a day at best and retiring pages as finished “first draft” as I go. Taking Sunday off means I’m not fully back on track till Wednesday. By Friday I’m getting tired. I probably have about four terrific writing hours a month. Reading (fiction, nonfiction, poetry). Music (pop). Nature. 13 - How does your most recent book compare to your previous work? Howdoes it feel different? As I said above, the current one seems, so far, to be more about race and gender (as well as age) than the previous ones. Also, this time I’m working from autobiographical circumstances in a way that I have only in the short stories. And it’s coming together—if it is—in a very haphazard way. I’m trying to make a certain comic-realistic tone work in a novel and plot it in a way that particularly satisfies at the end. 14 - David W. McFadden once said that books come from books, but are there any other forms that influence your work, whether nature, music, scienceor visual art? Yes, all of the above. I read a lot of popular science. And lately I’ve been collaborating with the visual and installation artist Blair Brennan. We’ve been working on an Enlightenment Machine based on the machine in Kafka’s “The Penal Colony.” Ours writes on the body what you as an individual need to know before you die. At crucial stages of my life, certain writers have been very important: Laurence Sterne, Samuel Beckett, William Burroughs, Thomas Pynchon, Emily Bronte, Cormac McCarthy, Raymond Carver, W.G. Sebald. Some I come back to again and again: Alice Munro, Anton Chekhov, Mikhail Bulgakov. Spend time in India. Live in New York for a while. 17 - If you could pick any other occupation to attempt, what would it be? Or, alternately, what do you think you would have ended up doing had younot been a writer? The only thing I wanted to be as a child, after fireman, was a stuntman. Now my alternative occupation would be stand-up comedy. It’s a writer’s profession. I don’t find many books “great.” The last for sure would be Middlemarch, which I finally got to only a couple of years ago. But from more recently, I thought Coetzee’s Disgrace could fit that description. I’ve read it a few times. I find it amazing how he can do something so powerful with such ordinary, even banal, language. I just didn’t think it was possible, making something like that work so well for a reader like me. As for a film, again, time will tell if it’s “great,” but it’s pretty damn good: the Coen brothers’ No Country For Old Men. They did full justice to Cormac McCarthy’s smarts. I’ve talked about this a lot already. It’s set in contemporary suburban Toronto, contemporary Edmonton, and central France just after the Second War. It has no title yet and keeps threatening to collapse on me, so I won’t say any more.